The Great Trossachs Path is a fantastic walk that we have split up into two long days. This first section can be done as one long day or broken into two shorter days. The TGTP provides instant access to the wonderful wilds of Scotland. 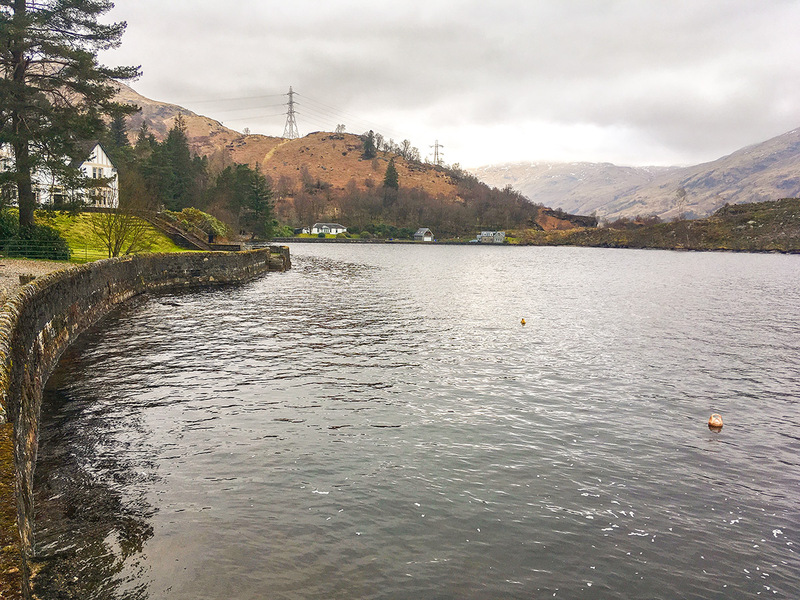 From the bonny banks of Loch Lomond to Trossachs Pier at the head of Loch Katrine this is the first section of the Great Trossachs Path, the whole of which can be walked comfortably in two days. 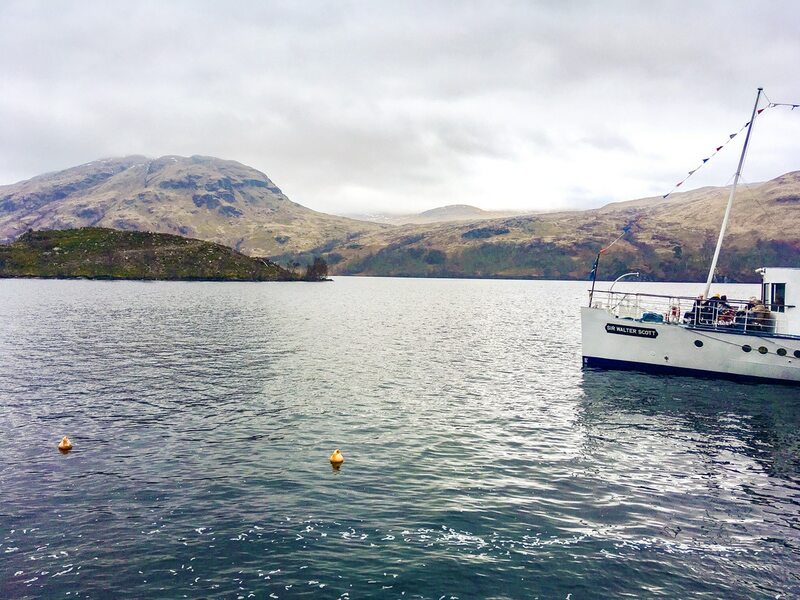 Inversnaid can be reached by taking a summer ferry from Tarbet to cross Loch Lomond, Tarbet can be reached via bus or Train from Glasgow. Alternatively, from the centre of Callander follow signs to Inversnaid, follow the single-track road with passing places for approximately 24.1km to reach a free parking area (Rob Roy Car Park) on the left-hand side accessed via a small wooden bridge. 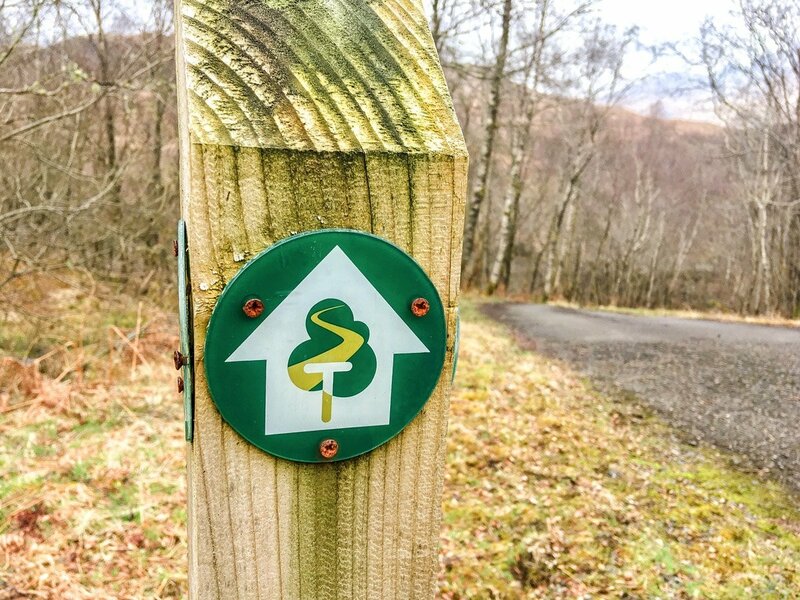 The Great Trossachs Path is well sign-posted, and the route follows The Great Trossachs Path Tree Logo (see pictures! ), so once on track the route is very easy to follow. It can be completed in either direction; this description follows the route from Inversnaid to Trossachs Pier. 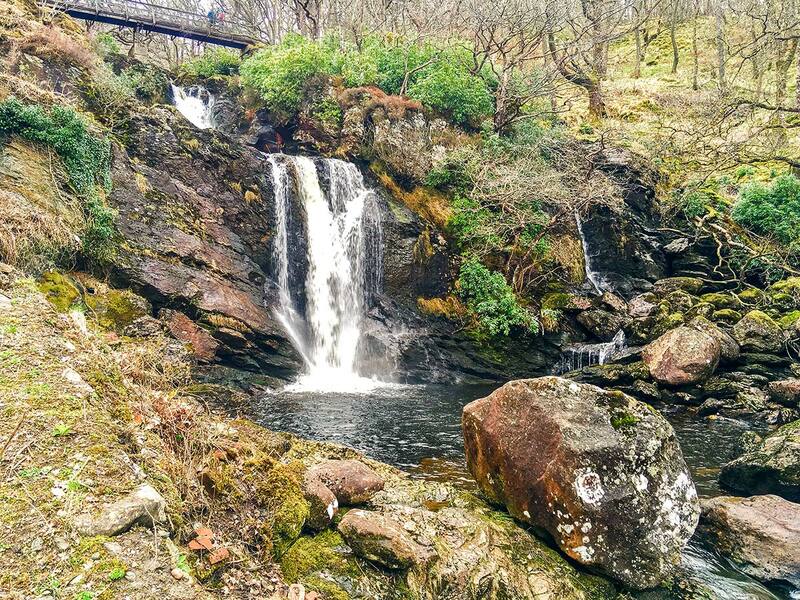 From the Inversnaid Hotel (if you have arrived by ferry) take the steps to the right of the hotel, cross two footbridges over the impressive waterfall and then turn left to follow the footpath signposted to the Rob Roy Car park. Soon turn left again to follow the path steeply uphill alongside Arklet Water. The path climbs through the woodland and after passing through two gates emerges in the Rob Roy car park. If you have arrived by car this is the best place to leave your car and start the hike. From the car park take the road leading steeply down to the river and cross the bridge to join the road. Turn right and head towards the Inversnaid Bunkhouse and Bistro. Continue along the road; pass the houses and old school and then turn left up the track towards Garrison Farm. After passing the farm buildings the path brings you to the RSPB car park, follow the signs to the footpath leading out of the back of the car park. The route now follows an undulating gravel track, keep straight ahead at a junction. 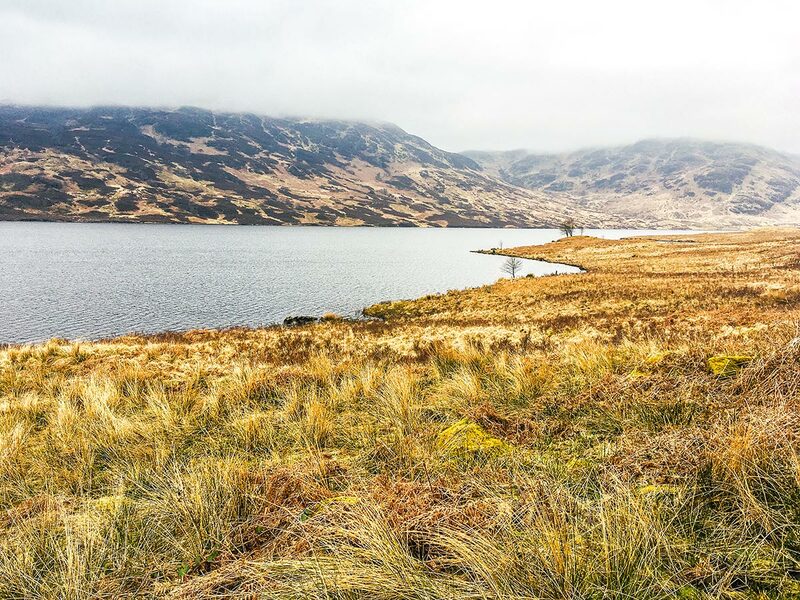 Undisrupted mountain views and the stunning Loch Arklet and its dam dominates this section. At the far end of Loch Arklet, the signs guide you around to the left of Corriearklet buildings and a small lochan a little further ahead. Soon you will reach a signed junction; follow the path towards Stronachlachar. Continue along this path to meet a minor road, turn left onto the road. Continue ahead past a vehicle barrier where the road turns into a private minor road beyond. The route continues ahead around Loch Katrine. Before passing the vehicle barrier take the detour, via the road to the right, down to Stronachlachar pier, there is a great tea shop here (The Pier Cafe) which is well worth a visit. You can also stay at Stronachlachar Lodge, a nice lodge in a great location. You might spot the Sir Walter Scott Steam ship which alights here on cruises from Trossachs Pier, your destination! 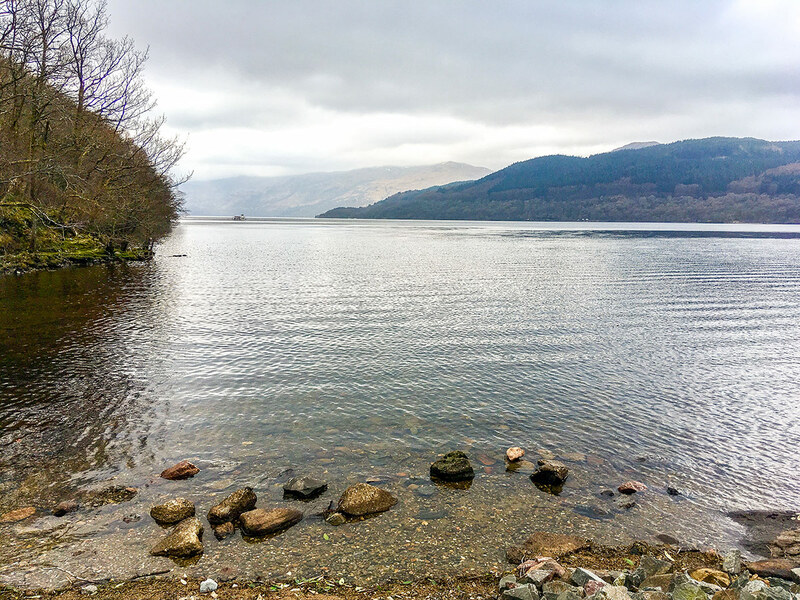 The next section of the route can be somewhat busier as many walkers and cyclists like to come across on the ferry and follow The Great Trossachs Path back to Trossachs Pier- another nice option! 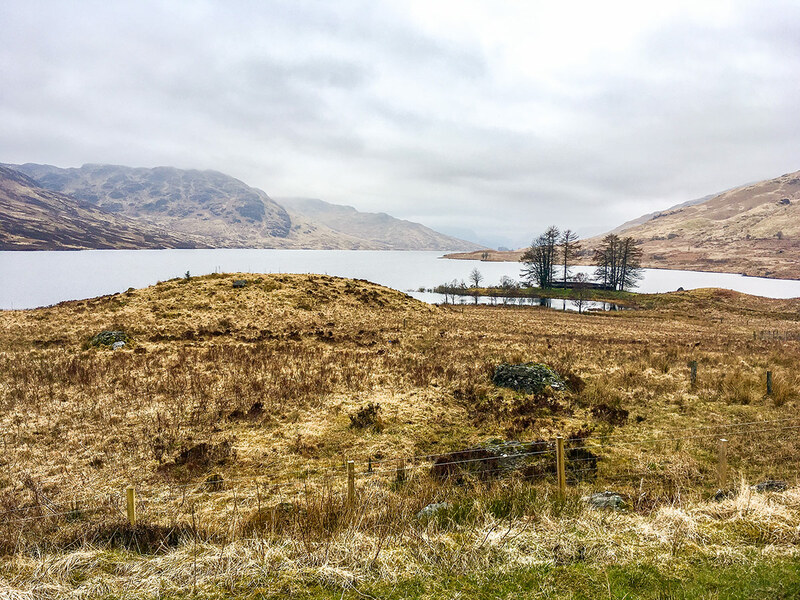 Return to the route and follow the private minor road to pass the few houses of Stronachlachar to open countryside with exceptional views out across Loch Katrine. 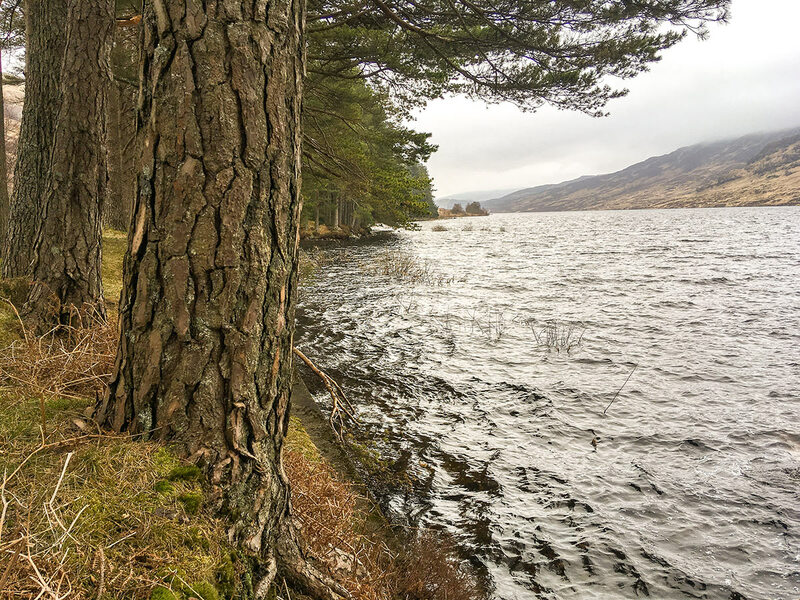 Continue to follow the road north along the shores of Loch Katrine before it turns south. Again, clear signage makes this section easy to follow; stay on the road passing MacGregors burial ground, which juts out into the loch and can be reached via a small footpath. As the path goes to the left and heads east, you come to the minute settlements of Strone, Edra and Letter. Further on, the road enters a wooded area and occasional views can be seen down to Trossachs Pier and several small islands. 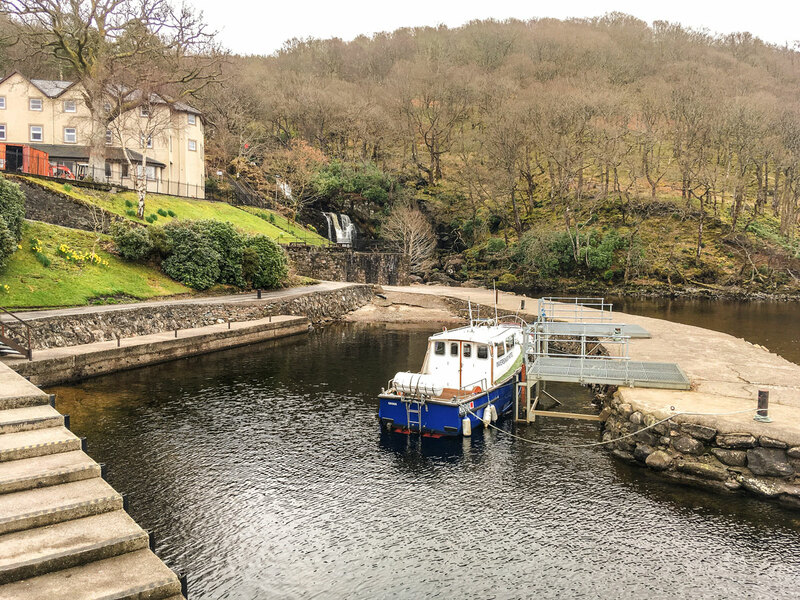 After passing Ellen’s Isle you will soon reach Trossachs Pier, here there are toilets, refreshments, and various cruise departures, but no accommodation. 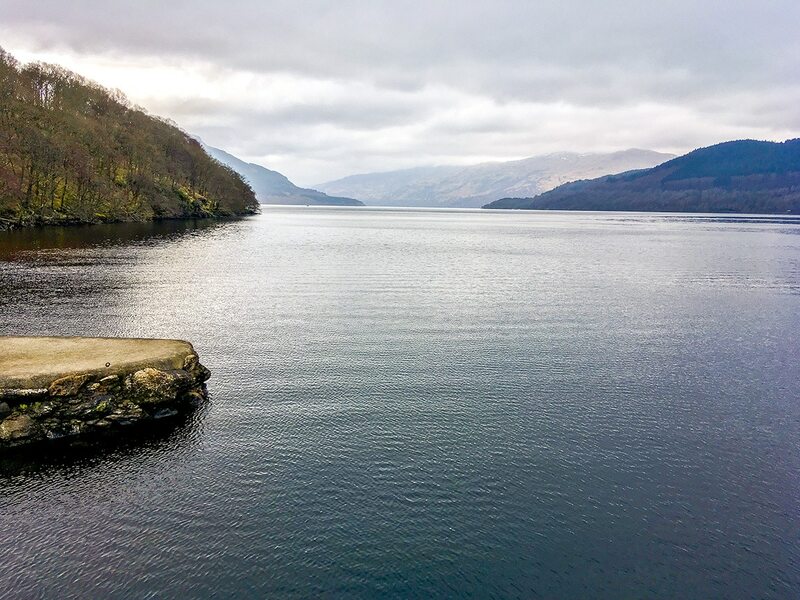 Wild camping is permitted around the shores of Loch Katrine however, just slightly further on from Trossachs Pier Camping enforcement regulations apply and permits must be purchased. The cruise on Loch Katrine is spectacular. You can book your passage online in advance.